First post of the new year! 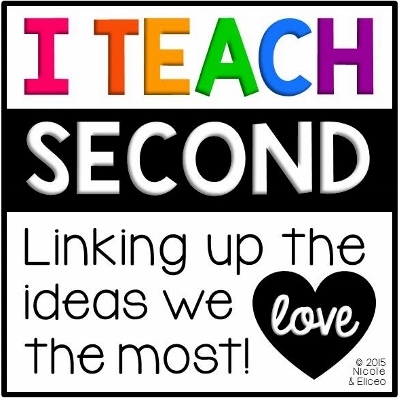 I am linking up with Nicole and Eliceo for the January I Teach Second link up. 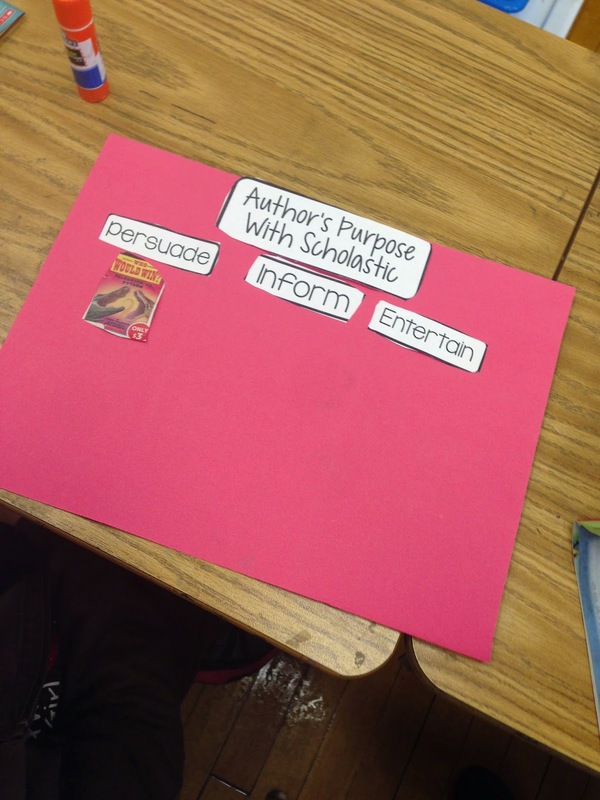 I want to share a high interest activity to review author's purpose. After getting acquainted with the three main author's purposes, we used old Scholastic book orders to identify books with each purpose. I gave them labels and they sectioned their construction paper into thirds. 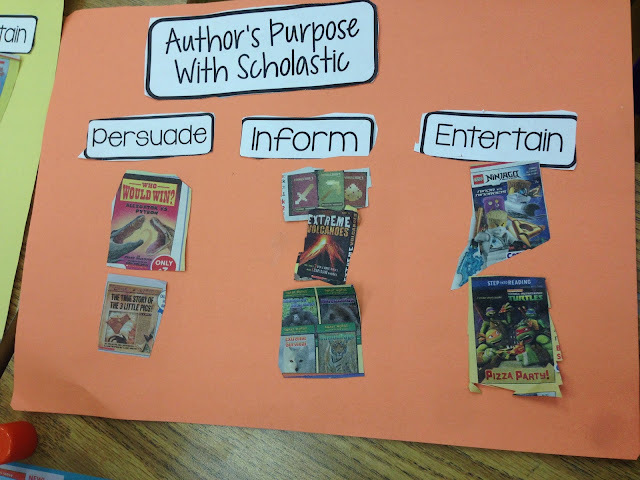 We did the persuasive books together, as guided modeling, and plus, they didn't really know a lot of the books in there and without seeing, it's hard to tell what's persuasive and what's not. But inform and entertain, they did on their own. You could figure out by the description and the cover pictures which was which. 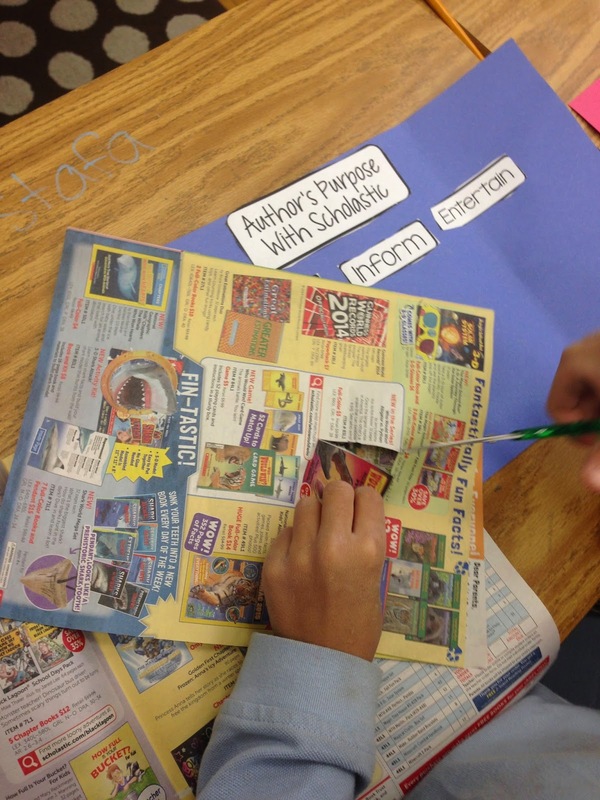 Before cutting, they had to go through the whole magazine and circle the books they wanted to cut. Next to the picture, I had them write I, E, or P and before they cut, I went around and checked to make sure they were on target. Sometimes I asked them to explain why they chose the specific purpose based on the cover and title of the picture. 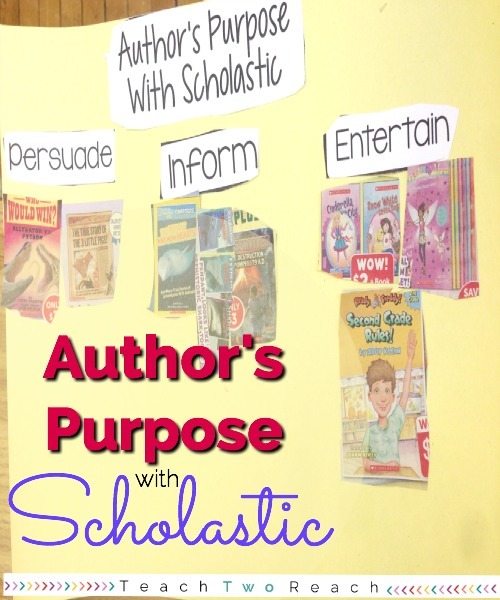 Check out the linkup below for other great posts and ideas! Students loved to look through the flyers for this too! Super engaging. 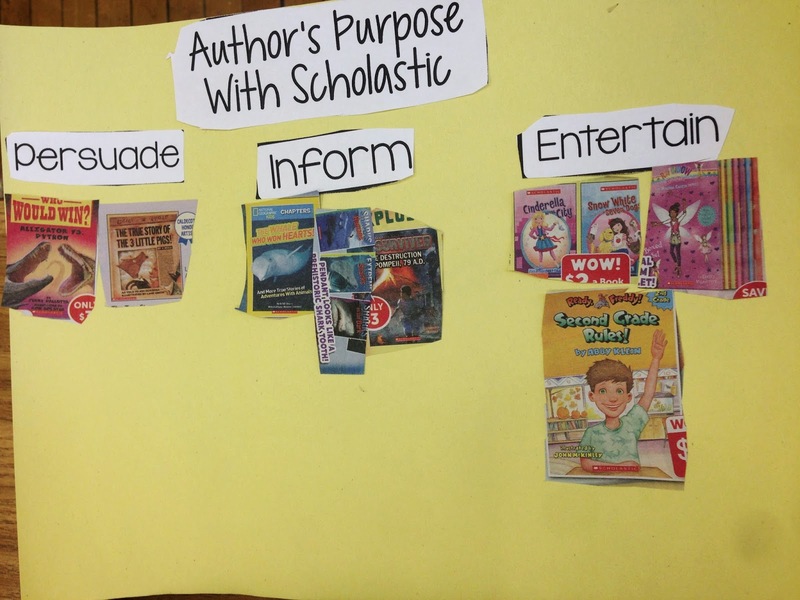 Love the simplicity of this great hands-on way to teach author's purpose! Thank you so much! And no photo copying or prep required really! 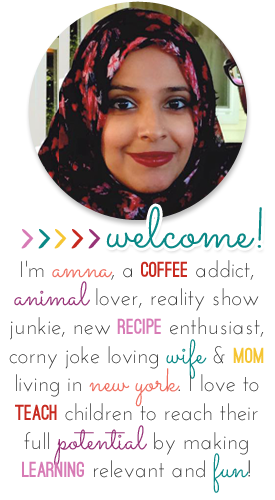 Great hands on teaching Amna!! Thank you for sharing! Anna what a great idea to use those order brochures! There are always some leftovers. Thanks for sharing! Thank you for this idea. We need ways to get the concept to stick without using paper for copies. Plus, we can forget about color. LOL! This saves paper and gives them something in color.